Norwalk, Conn. (May 31, 2018) – Sue Yin Kahler, a long-time Instructional Assistant at Columbus Magnet School, has been named Norwalk Paraeducator of the Year. Mrs. Kahler will represent Norwalk paraprofessionals in the Anne Marie Murphy Paraeducator of the Year program, sponsored by the Connecticut State Department of Education and the School Paraprofessional Advisory Council. Mrs. Kahler was chosen for her dedication not only to academic responsibilities, but also for her involvement in school-wide initiatives and enrichment programs, and for her passion for integration of the arts into the school. As a Higher Order Thinking (H.O.T.) school, Columbus Magnet School has an integrated approach to learning that heavily involves the arts. A paraprofessional in the district for over nineteen years, Mrs. Kahler provides daily academic and administrative support in the classroom with a lead teacher and to the first grade team. In addition, she collaborates on schoolwide initiatives and enrichment opportunities. For the past several years she has served as the committee chair for Columbus’s MLK PEACE Games, bringing students together to share the legacy of Dr. Martin Luther King. Mrs. Kahler is also one of two site-leaders for the H.O.T. Schools program at Columbus, where she collaborates with like-minded artists and educators who strongly support arts integration in education. She has attended the acclaimed week-long H.O.T. School Summer Institute for the past 14 years. In 2016, Mrs. Kahler applied for and was awarded a Lincoln Center Fellowship, and attended a weeklong workshop in New York for creating lessons with “arts infusion.” Outside the classroom, she is also involved in a variety of other art related programs including volunteering as an art docent with the National Park Service at Weir Farm National Historical Site in Connecticut, and with a program called “Kids in Every Park” for fourth graders. 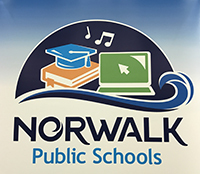 Finalists considered for the Norwalk Paraeducator of the Year honor were chosen from nominees for this year’s Norwalk Public Schools Excellence in Educational Support Awards. The Educational Support Awards were designed to honor non-certified staff members who have earned the respect and admiration of students, teachers, administrators, co-workers and parents. Nominations were submitted by colleagues, administrators or parents and then reviewed and finalized by each school’s governance council. The Anne Marie Murphy Paraeducator of the Year Program was established to recognize the important role of the paraeducator in supporting student achievement. The award is named in honor of Anne Marie Murphy, a paraeducator who lost her life at Sandy Hook Elementary School in 2012. School districts throughout Connecticut can nominated one paraeducator each year to apply for this award. The program honors one paraeducator who has demonstrated exceptional skill and dedication in the performance of his or her job. The 2019 Anne Marie Murphy Paraeducator of the Year will be chosen in late September and honored at the 2019 Teacher of the Year Ceremony in December. Each district-selected Paraeducator of the Year will receive a certificate of recognition from the Commissioner of Education.